Extreme sport enthusiasts are often divided by the very controversial topic of longboard vs. skateboard. While both recreational activities appear to be similar at first sight, they do in fact have distinct differences, which complement various types of personal style and preferences. In recent years, many people have been pondering over the choice between getting a longboard and a skateboard. 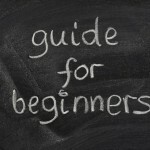 In order to make the best decision possible, every rider should know the strong suits and weak links that each sport has to offer. The key differences are mostly associated with the structure and uses of each ride, as well as the fact that the longboard is the skateboard’s more contemporary relative. Skateboarding came about around the 1940s or 1950s, when surfers were looking for a thrill at those times when waves were flat. 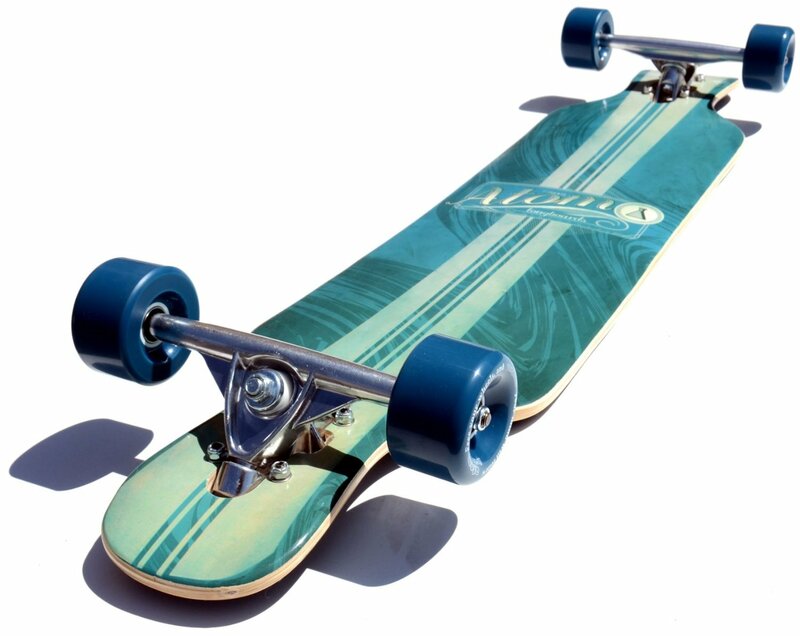 The first longboard appeared later on, when riders tried to transform their skateboard decks making them longer and adding roller-skate wheels. Since then, longboarding has increasingly been gaining popularity. Perhaps it is due to the fact that longboards come in more sizes and can be used in more situations and terrains than skateboards. Read more about longboards history here. 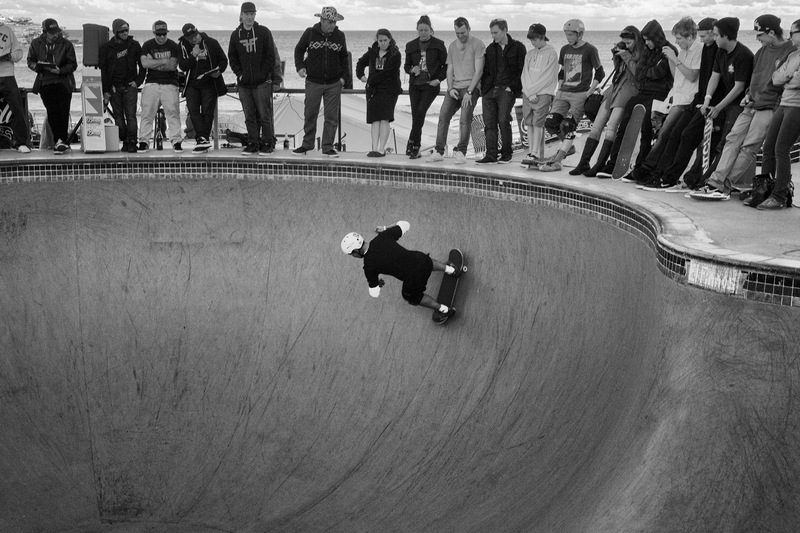 On the other hand, most riders are unanimous that the skateboard has more advantages when it comes to doing tricks. Everyone looking the make the decision between a skateboard and a longboard should first have an idea of the differences between the shapes and sizes of the two. The skateboard deck is curved upwards on both sides, which makes it easier to perform certain tricks, like “ollies” and “kickflips”. 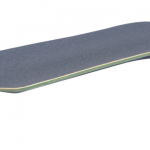 The longboard deck on the other hand, is normally longer, as the name suggests, and instead of curves has two narrow strips at each end, which makes it more stable. Size-wise the longboard vs. skateboard dispute is, to some degree, won by the skateboard, which is smaller and lighter, making it easier to carry around. The skateboard deck is usually around 30 inches long and 7 inches wide, while the longboard deck’s length varies from 22-45+ inches depending on the function of the board, and has a width of about 9 inches. The trucks, which are located at the bottom of both boards, also make a difference as the skateboard’s trucks are better suited for grinds (performing tricks on curbs, benches etc.). Another difference is that longboards usually have larger and softer wheels, which makes riding easier even on rougher surfaces. 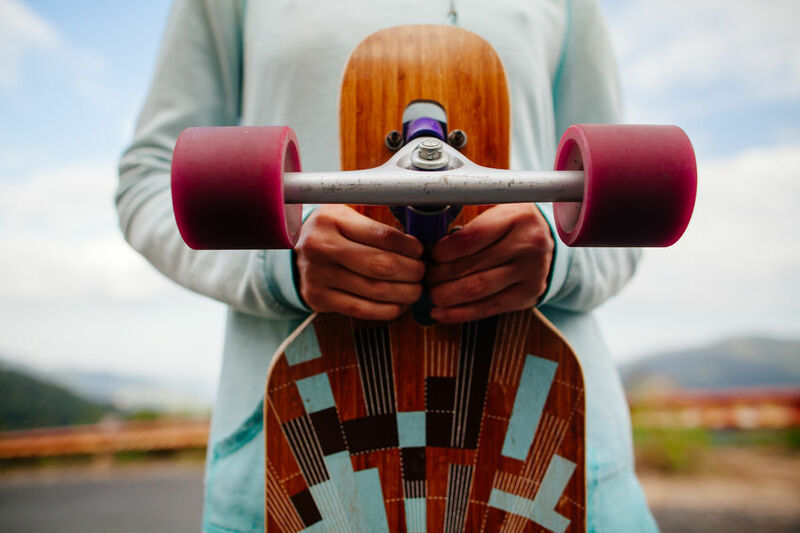 Although the above variations might seem rather factual, they do make a difference when it comes to making the longboard or skateboard choice, as they are what determines the appropriate places for practicing each of these extreme sports. When trying to choose the best option, personal preferences are a key variable, especially when it comes to places for riding. Before picking one of the sports, it is important to decide when and where riding will be done. 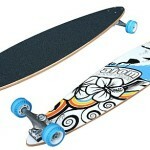 The two main options are street riding vs. skateparks for longboard and skateboard respectively. Even though a skateboard can be used for transportation and cruising the streets, it is not meant for these purposes as it is not stable on all terrain and is not very comfortable for long trips. Riders who choose to purchase a skateboard usually do so because they prefer doing tricks – maneuvers with the board that vary in difficulty and technique. The most suitable places for that are skateparks, which have different designs but usually include a number of obstacles, most popularly half-pipes and bowls. Another option for skateboard riding was mentioned above – grinding. Even though it does not require special settings, only regular urban facilities such as staircases, benches and curbs, grinding is not permitted everywhere. In fact, some districts even have laws against it. Those who have resolved the longboard against skateboard debate in favor of the skateboard, usually strive to perform increasingly difficult tricks, whose general categories include ollies, aerial, flip tricks, freestyle as well as slides and grinds. While skateboarders mostly polish their tricks, longboarders perform other activities as well. Longboarding is done on the street, rather than skateparks and has a few variations which correspond to different deck shapes. Riders who have chosen to get their thrill on a longboard, most typically use it for transportation and cruising – these are the longboard’s classical purposes. Commuting with a longboard has some distinct advantages such as being inexpensive, eco-friendly, enjoyable and lightweight. When it comes to travelling, both long and short distances, the question of longboard or skateboard is an easy one to answer – the longboards created for this purpose have softer, medium-sized wheels, which allow for a smoother ride and flexible maneuvers around bumps, corners etc. Depending of personal preferences, as well as the distance that will commonly be traveled, these longboards come in a variety of shapes and sizes. 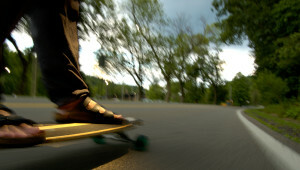 Another widely popular type of longboarding is downhill longboarding. The longboard reigns over the speed-invoking slopes. Downhill boards are usually on the large side and are somewhat stiff to enhance stability and enable the rider to achieve the amazing speed of up to 80 mph. This is perhaps the most thrilling form of the sport and can be practiced anywhere, as long as there is a smoothly asphalted and steep street. Best places for downhill longboarding. There are no specific slopes used exclusively for downhill longboarding and so riders are usually forced to share with motorized traffic, which makes this form of longboarding a bit risky, given that the rider is not careful. Even though performing tricks is normally associated with skateboarding, longboarders have some moves as well, especially when using the right deck. 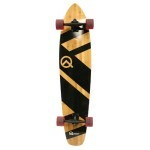 The freeride (Riviera Street Slayer Longboard review), dancing and slalom boards can be used for maneuvers such as avoiding obstacles, sliding and spinning. The longboard vs. skateboard predicament has many arguments and supporters on both sides, however, every rider should consider the differences between those two extreme sports, in order to choose the most suitable for themselves. While the skateboard is easier to carry and provides the thrill of accomplishing increasingly difficult tricks, the longboard is becoming more and more popular because of its practicality and wide range of uses. In the end, choosing between a longboard and a skateboard comes down to personal choice and what rushes provide the rider with the biggest enjoyment. Best Longboards for Beginners? Riders Choose! Why 2017 is the Year of the Electric Skateboard!